My goodness. One of those moments. When you get all gussied up... and it starts raining. Yes, first time in my 11 years of photographing that literally it started raining right when we got to the location of the portrait session, so much so we couldn't make it work. So we went to plan B location on plan B day. Well, really there was no plan B, but we made it work. Plan B was beautiful, take a look for yourself, below. 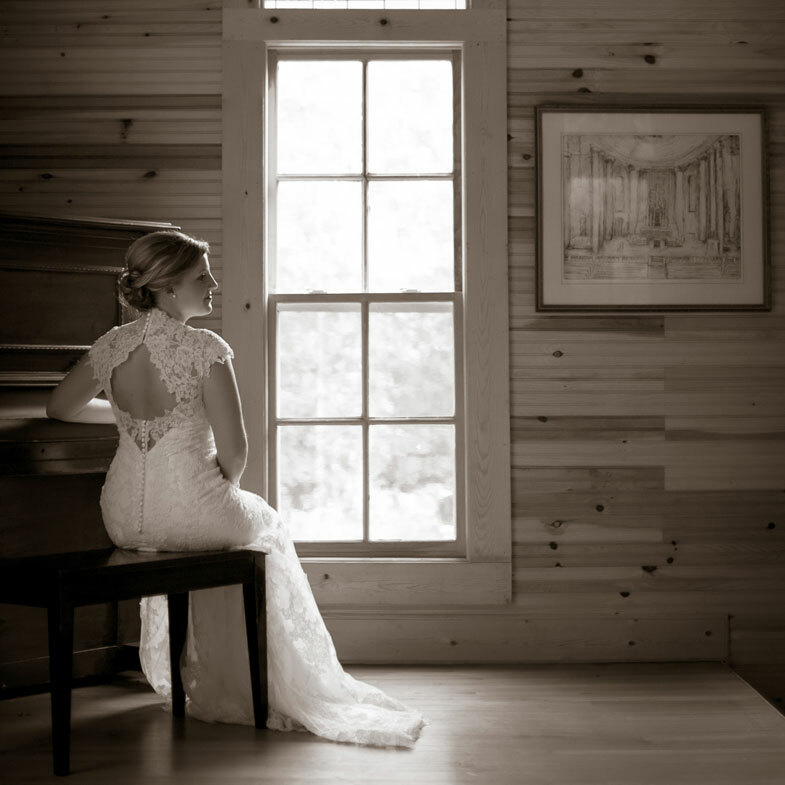 Absolutely stunning and she chose this b/w for her bridal portrait enlargement, yes!!! It was beautiful displayed on the rock mantle at her reception. Brittany, thanks for being cool, calm, and collective. For rolling with the punches... you are fabulous!